Balloon pump *optional, but HIGHLY recommended. 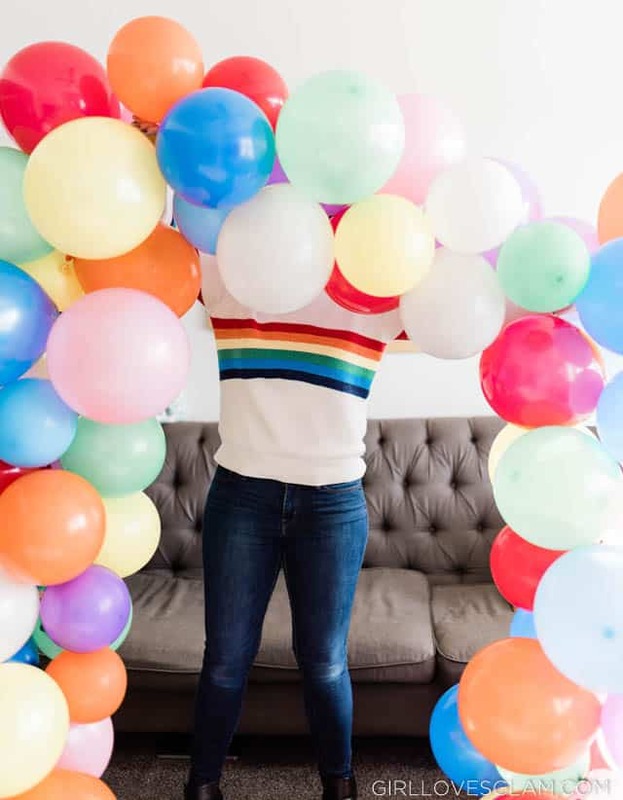 If you are making a really large balloon arch or are planning on making several balloon arches, you may want to consider investing in an electric balloon pump. First, blow up your balloons. You don’t want them to all be the same size. You want some to be large, some medium, and you even want some small guys in the mix. 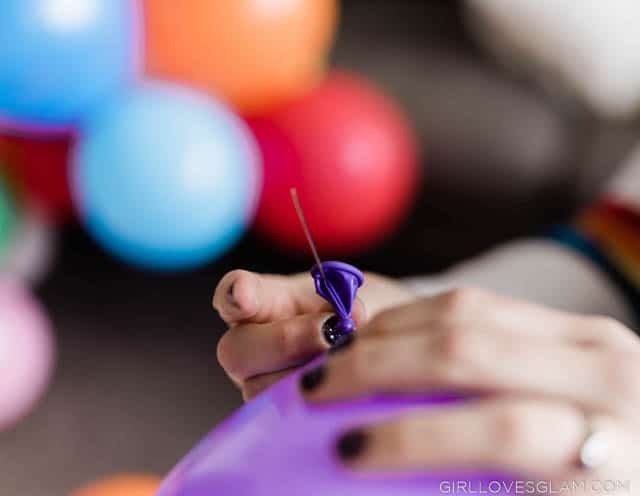 Thread the needle with the fishing line and poke it through the end of the balloon.You will want to make sure it goes through both sides of the end of the balloon. 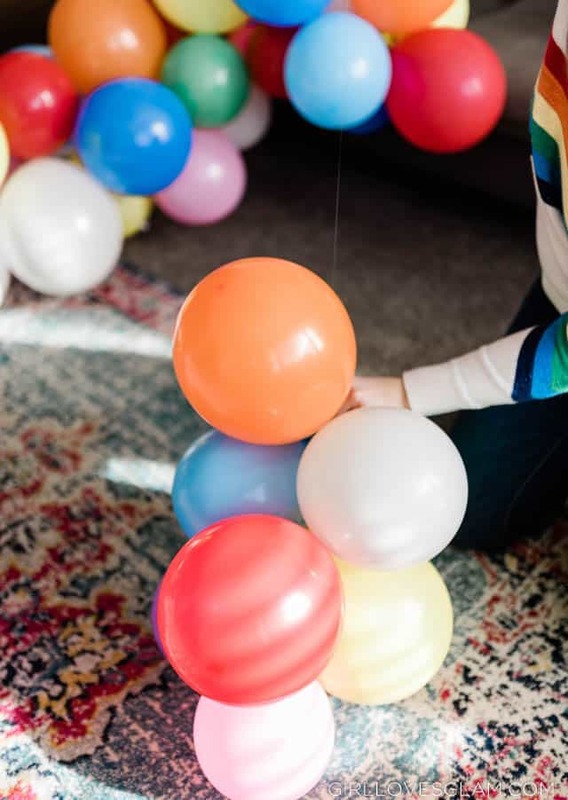 Repeat this step until you have threaded several balloons onto your string. 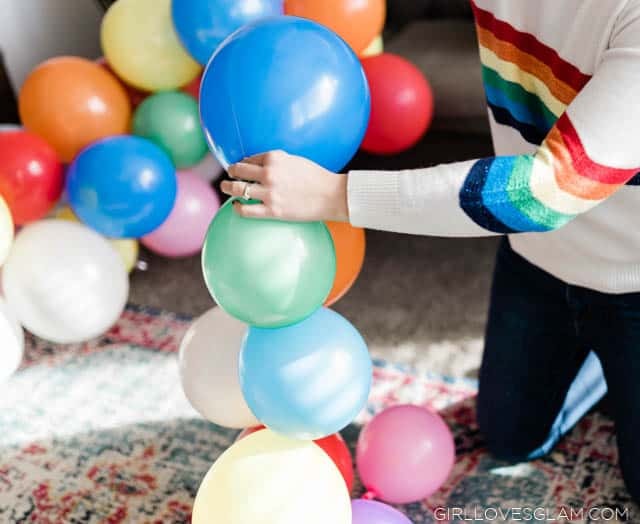 Once you have several on your string, you want to push your balloons down the string to make room for more. 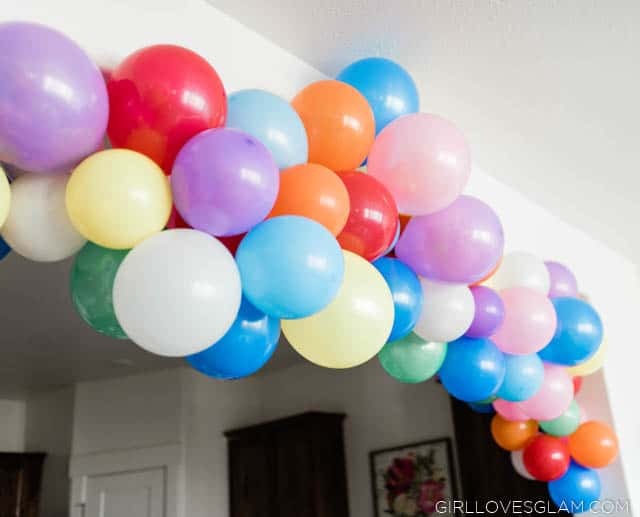 When you push them all together, that is also when you get the bunching effect that you want on your balloon arch. 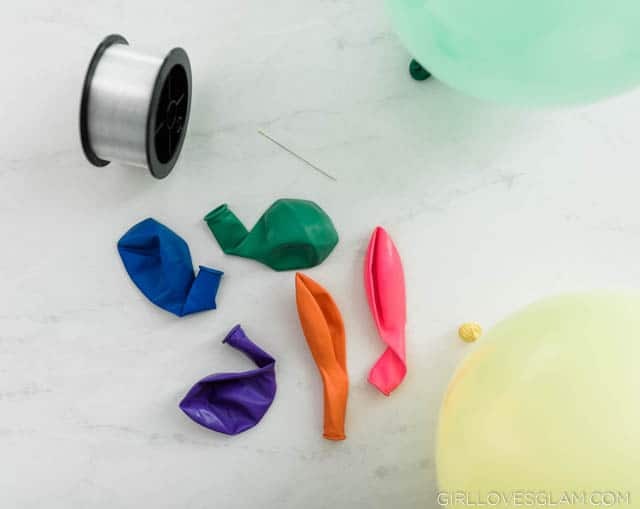 Continue blowing up balloons, threading them on the fishing line, and pushing them down to bunch them together. 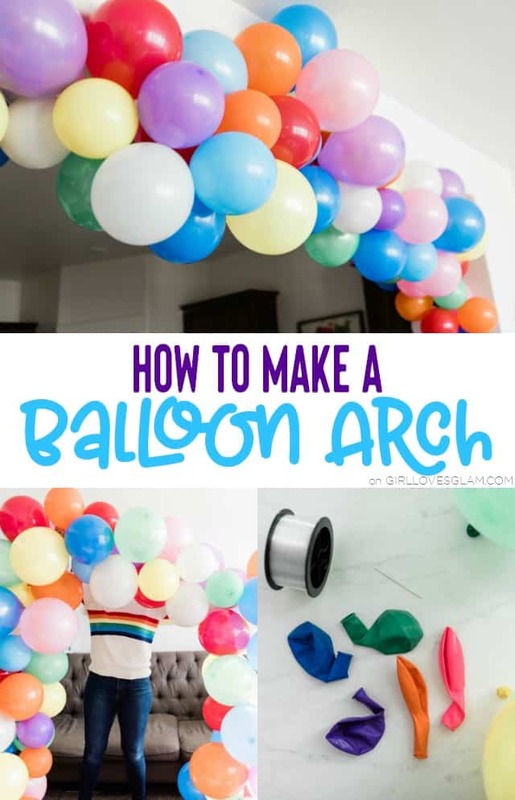 Do this until you have made your balloon arch as big as you want it. 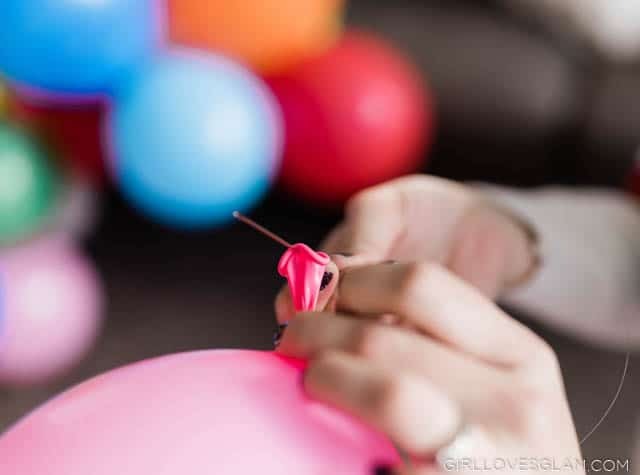 When you are done, cut both ends of the fishing line and tie it in knots around a few of the balloons on the ends. Hanging up the balloon arch will differ, depending on where you are putting it. When I hung this one along my wall, I just used packing tape. I wrapped it around the fishing line and taped it along the archway of my wall. When I have made one that went along my stairway, I used the ends of the fishing line to tie to the railing along the stairs. You can use tape, wire, fishing line, really anything you can think of to make it stay up. 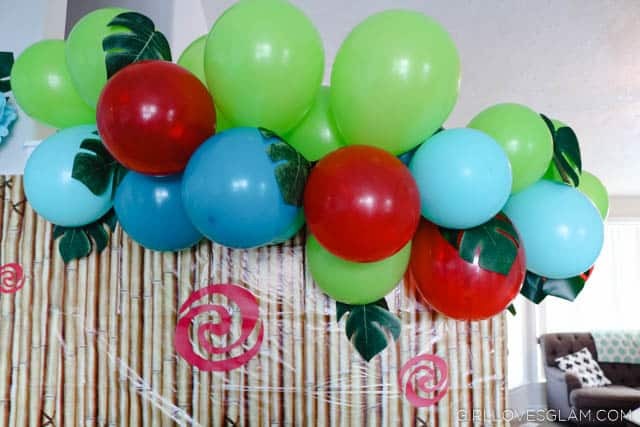 It will just depend on where you are displaying your balloons. They really do make a big impact on your decor! Here is another way that I styled a balloon arch for our Moana themed party, with faux leaves for a tropical look. 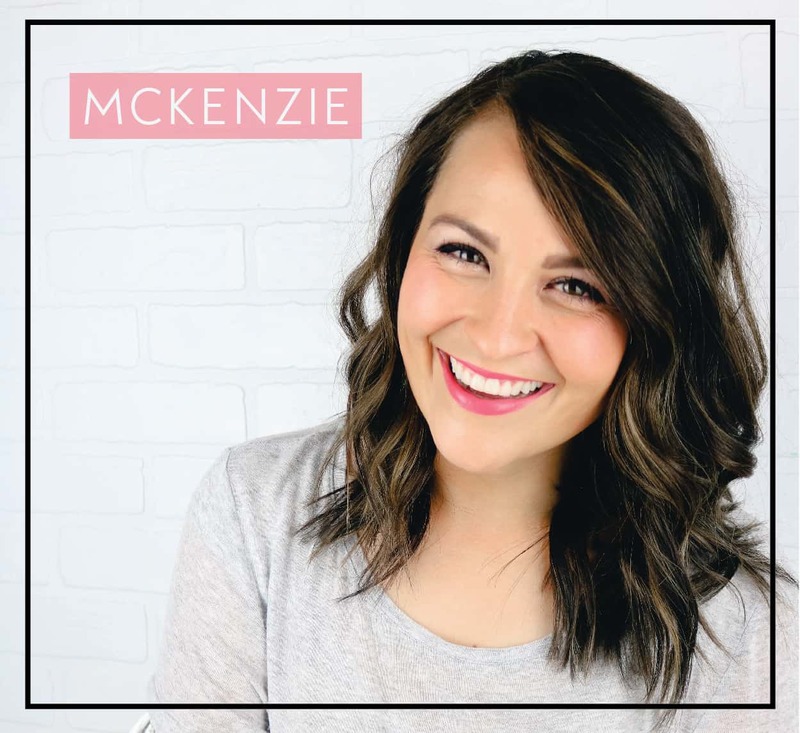 I would love to see all of the ways you style your balloon arches!